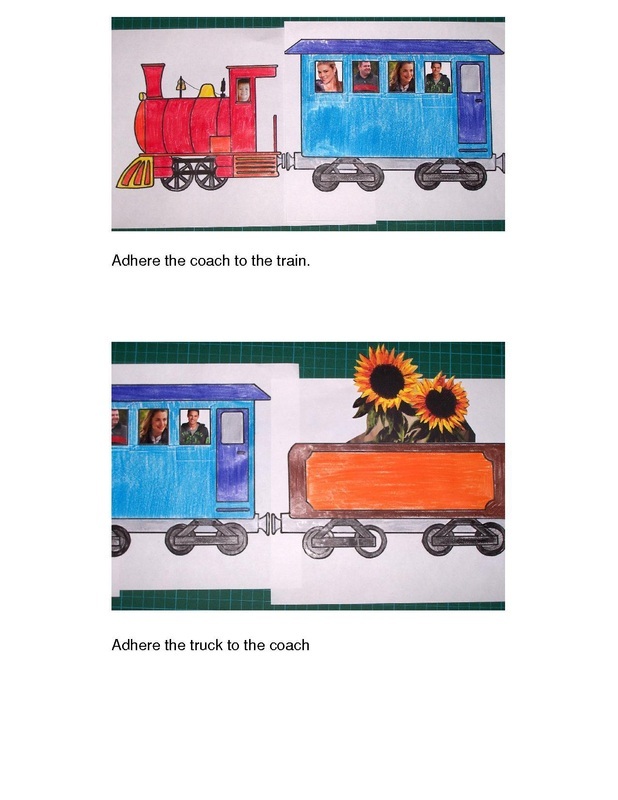 Steam Train Colouring and Gluing Craft for Kids. Steam Train Craft with Colouring and Gluing. 4. Pictures - cut from magazines, or photos. 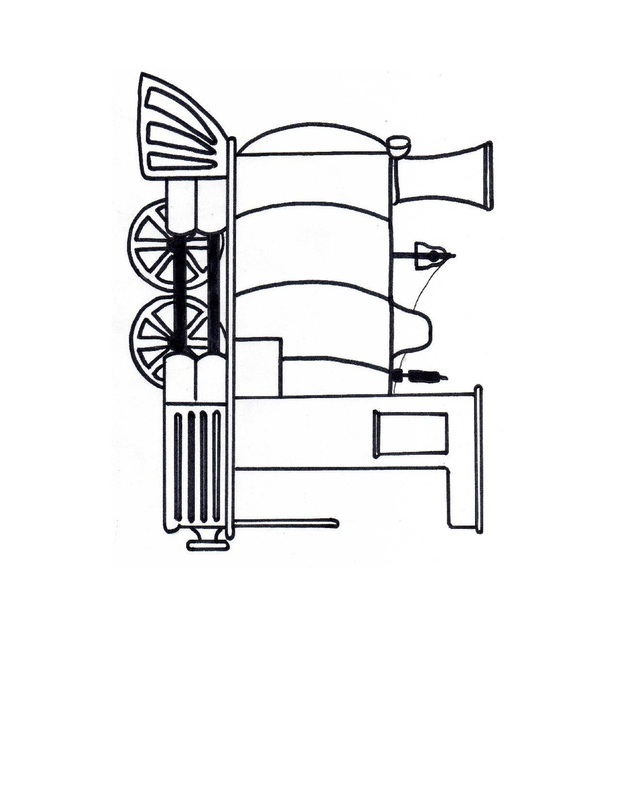 Print out the templates for the train's engine, passenger car and truck. You can print out multiiple coaches, or trucks if you would like a longer train. open the pdf doc's (below) and print. Using the craft knife, cut out the window. Glue or tape a picture or photo behind the window. I used pictures cut out of junk mail catalogues, but magazines, old calendars etc can all be used. 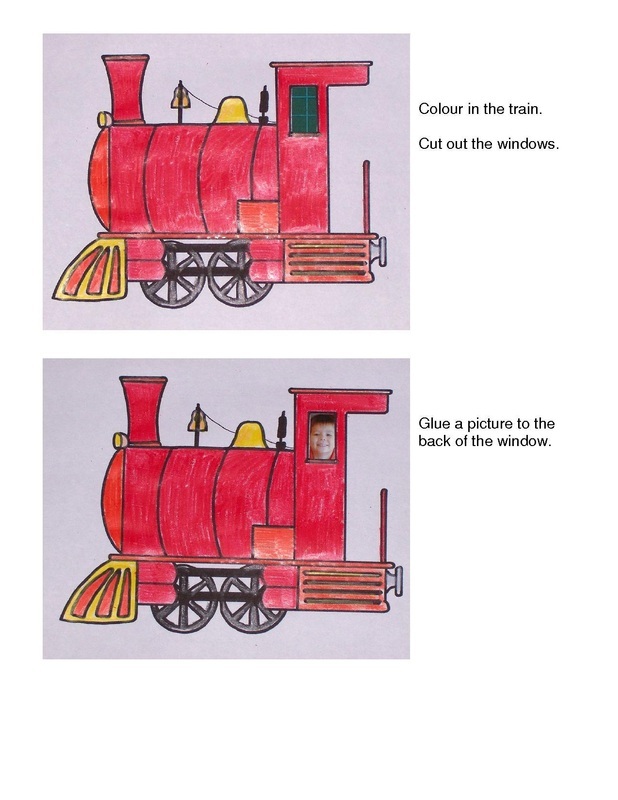 I made one of these trains using family photo's, with my 2 year old son in the engine as the driver - he loved it. Colour in the Passenger Car. Using the craft knife, cut out the windows. Glue pictures behind the windows. Cut the left hand side of the picture so that the edge is level with the edge of the buffer (see picture). This is so you can layer this picture onto the engine picture and "join" the buffers. Using the craft knife, make a slit along the mid section of the top of the truck (approx 15 cm long). 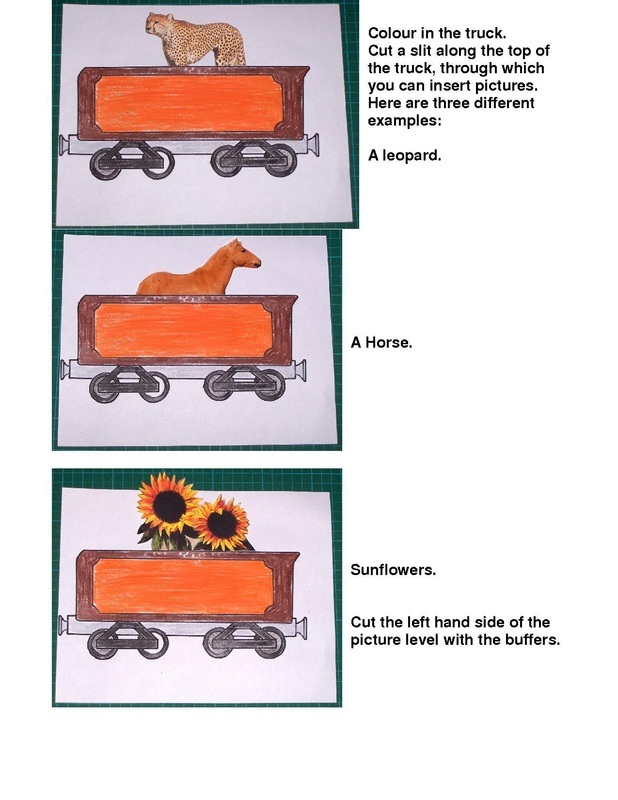 Insert a picture (eg of an animal, thing such as wood logs, person - I used sunflowers in my example) through the slit - this will make the load appear to be sitting in the truck. Glue (or tape) the picture in place. 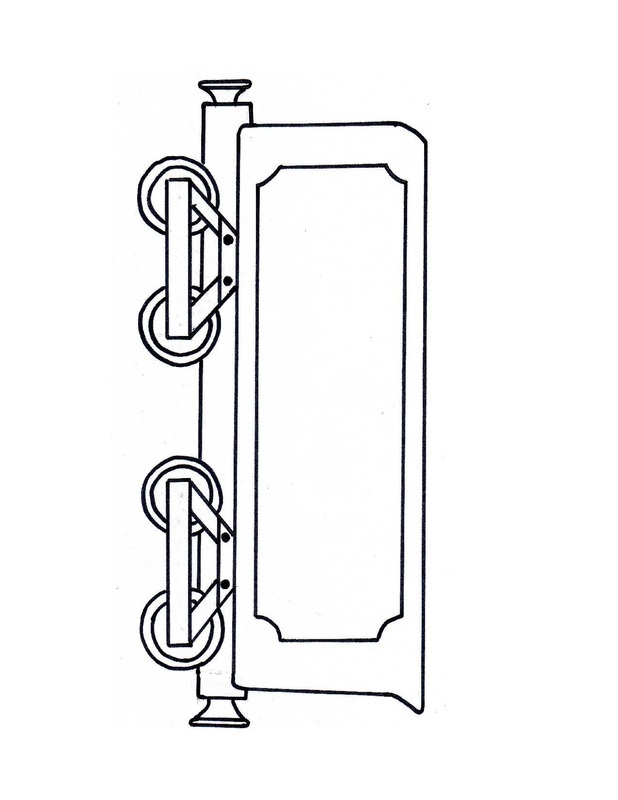 Cut the left hand side of the picture so that the edge is level with the edge of the buffer (see picture). 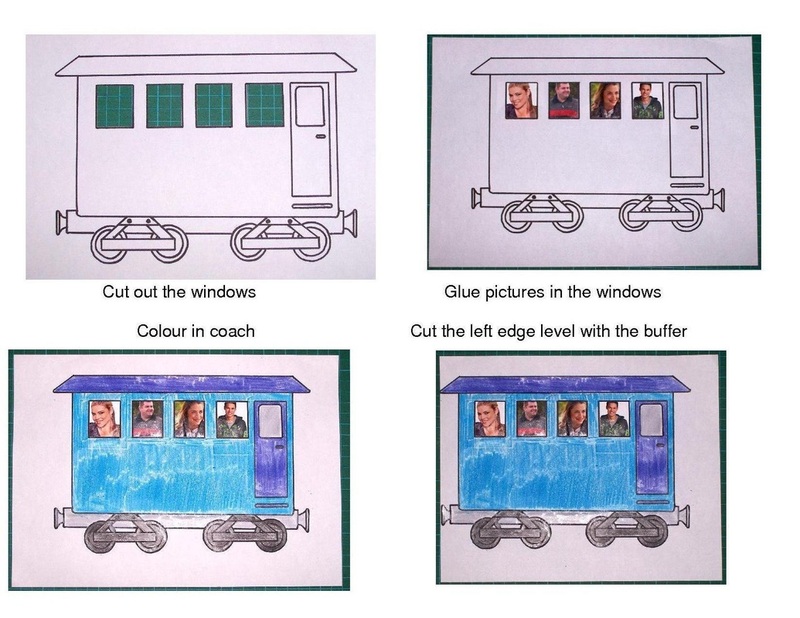 This is so you can layer this picture onto the coach picture and "join" the buffers. 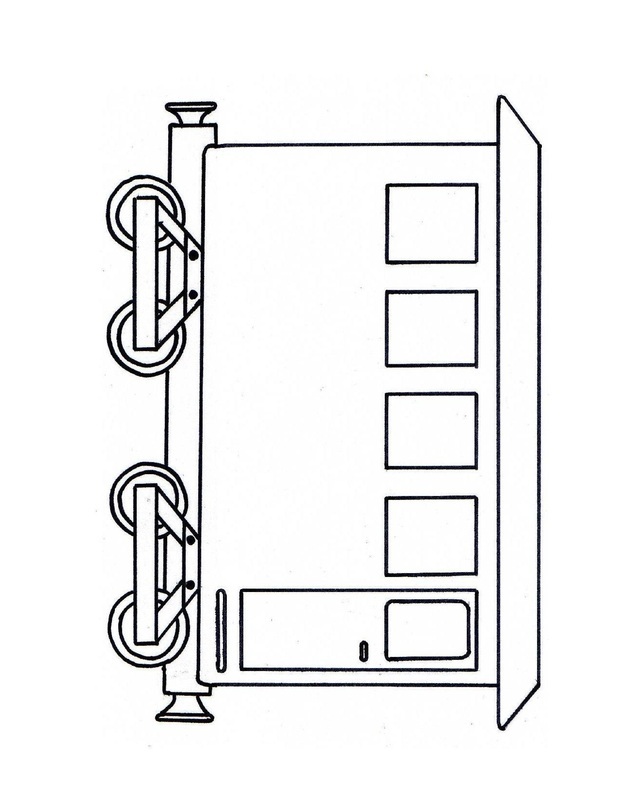 Join the train together by layeriing the coach on to the engine, and the truck onto the coach. See picture below. Trim the top and bottom edges of your picture to make them level.